After months spent in limbo and not a single new compatible device, Google is finally shutting its Tango augmented reality platform down for good, effective March 1st, 2018. While the announcement isn’t super surprising, the death of Tango adds another name to the list of abandoned Google ATAP (Advanced Technology and Projects) endeavors, which once included Project Ara, Google’s attempt to create a modular smartphone and Project Vault, which looked to put complete, secure computing platforms into an SD card. The major problem with Tango is that it required very specific hardware to function, including a dedicated depth-sensing IR camera and motion-tracking sensors, on top of a device’s traditional rear-facing camera. This meant making Tango compatible devices was unusually expensive, to the point where only two were ever officially sold to the public: the Lenovo Phab 2 Pro and the Asus ZenFone AR. The Phab 2 Pro was especially problematic because it was the first Tango device created, and aside from being bulky and suffering from weak performance and battery life, it was sold at hardware stores like Lowe’s, instead of traditional channels like wireless carriers. So no one bought any. And without a user base to support further AR app development, momentum for the whole platform ground to a halt. Even when the Asus ZenFone AR came out back in August, three months after the Phab 2 Pro was released, almost all of Tango’s AR apps still felt like tech demos. On top of that, many Tango apps still had issues with accuracy and calibration. But fear not, because all that time spent developing Tango isn’t going to waste. Much of Tango’s underlying tech has already been incorporated into Google’s ARCore, which looks to deliver similar AR experiences, but without the rigid hardware requirements. ARCore is the tech powering Google’s recently released AR Stickers, which lets you see characters from shows and movies like Stranger Things and Star Wars in your phone’s camera. 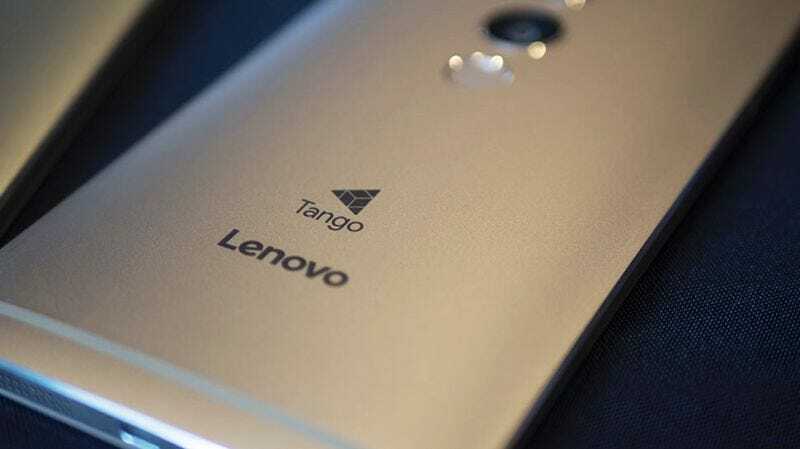 Remember When Google Tango Seemed Like a Sick Idea?